Further evidence of the durability of typewritten copy comes with the publication in Ireland this week of The Master's Choice, by John Arthur Nix (1884-1956). That this novel has finally been published 84 years after it was written is due in large part to the efforts of Nix's grandson, Des Nix, with whom I worked on The Irish Press in Dublin in the 1970s. 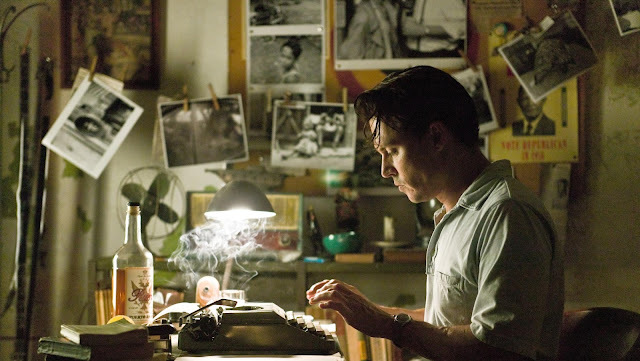 But its publication also underlines the fact that a novel typewritten in the early 1930s can survive in its original form into the 21st century, enabling it to be published as typed, something which modern technology almost certainly cannot and will not offer. The novel was discovered in typewritten form in the Nix family home over their stationery, newspaper agency and gift shop at 48 South Street, New Ross, in the deep south of Ireland. The typescript was uncovered in the attic of Rachel Nix, John Nix's daughter, when she died a few years ago. 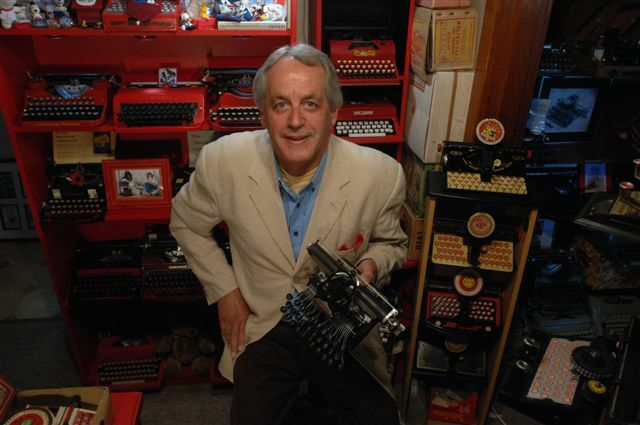 John Nix was a well-known journalist and a classics scholar proficient in Latin and French. His novel is set in his home place, an island in the Shannon estuary, and follows the fortunes of bachelor Marley Swanton as he evolves from a country schoolteacher into a local newspaper journalist and pursues farmer's daughter Finola Macara. The Master's Choice by is available from Amazon. 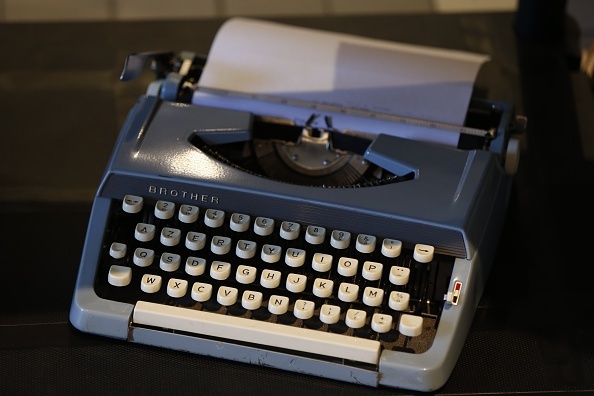 A Brother portable typewriter - the housing of which was designed by Akio Kondo for Nihon Mishin Seizo Kabushiki Kaisha in 1960 - was on display at the Massilia Vintage international fashion and design fair in Cagnes-sur-Mer, south-eastern France, this week. 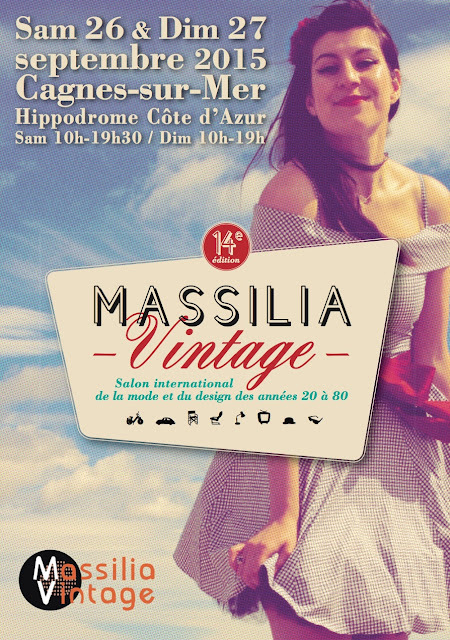 This is the 14th edition of the Massilia Vintage fair, dedicated to the years between 1920 and 1980. 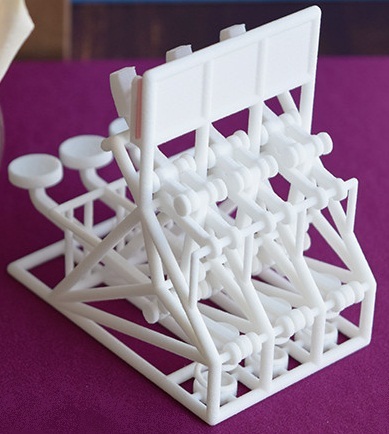 Kinetic sculptor and 3D print artist David Kim and Miracle the 3D Printing Dog have released their latest kinetic sculpture, titled Deconstructed Typewriter. "The sculpture was created in response to the loss of physical interaction with technology as it is replaced by touch screens and voice commands. 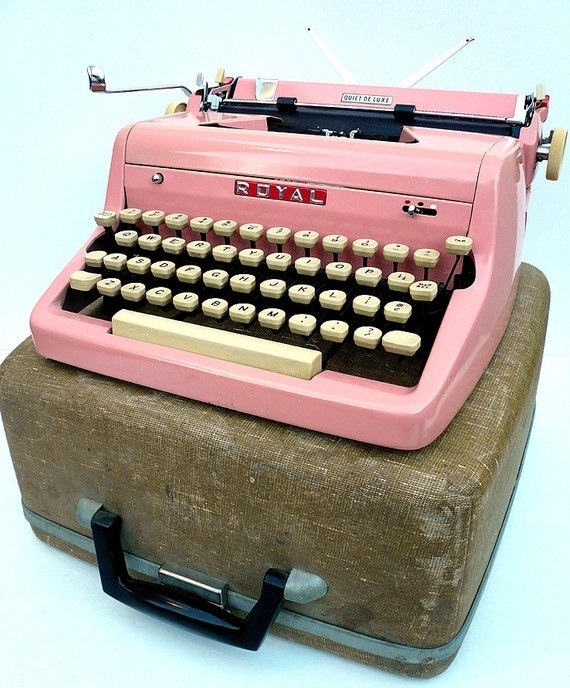 The keyboard, which has three keys, doesn't type, but it goes through all of the motions. In addition, it was printed as a single piece, requiring no assembly, and is currently available for sale through their Shapeways store." Kim is president and CEO of the company he founded last year in partnership with his rescue dog Miracle. 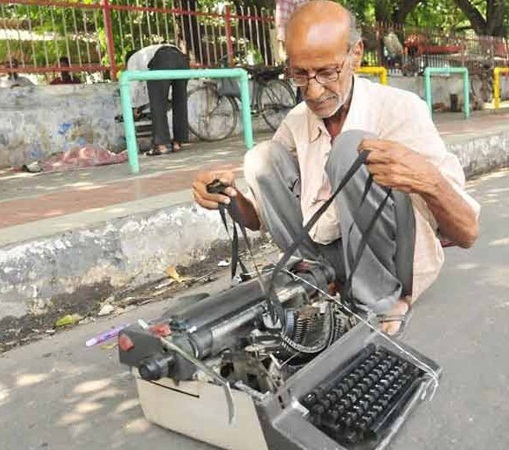 "For me, there is something special about the manual typewriter that is missing in today’s keyboard-less world of tablets and smartphones. Although the technology has improved, it is also, sadly, more sterile. Tapping one’s finger on glass to generate digital pixels on a screen is not the same experience as pushing down on physical buttons and having your innermost thoughts immediately appear on paper. 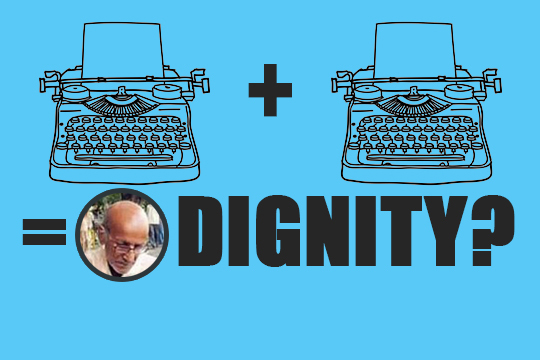 There was something inspiring about clicking away on an old keyboard that allowed the creativity to flow." Mel Gibson has started filming the movie Hacksaw Ridge in New South Wales and desperately needs World War II era standard typewriters as props. If you can help, let me know and I'll put you on to the props master. Hacksaw Ridge, starring Andrew Garfield and Vince Vaughn, is based on the story of American soldier Desmond Doss, a conscientious objector who was sent to the front lines during the Pacific War but refused to carry a weapon. Garfield is playing Doss. Hacksaw Ridge is expected to be completed in the second half of next year. Australian writer Andrew Knight and Pulitzer Prize winner Robert Schenkkan have written the screenplay. Desmond Thomas Doss (1919-2006), from Lynchburg, Virginia, was the first conscientious objector to receive the Medal of Honor and one of only three so honoured. He was a Corporal (Private First Class at the time of his Medal of Honor heroics) in the US Army assigned to the Medical Detachment, 307th Infantry, 77th Infantry Division. 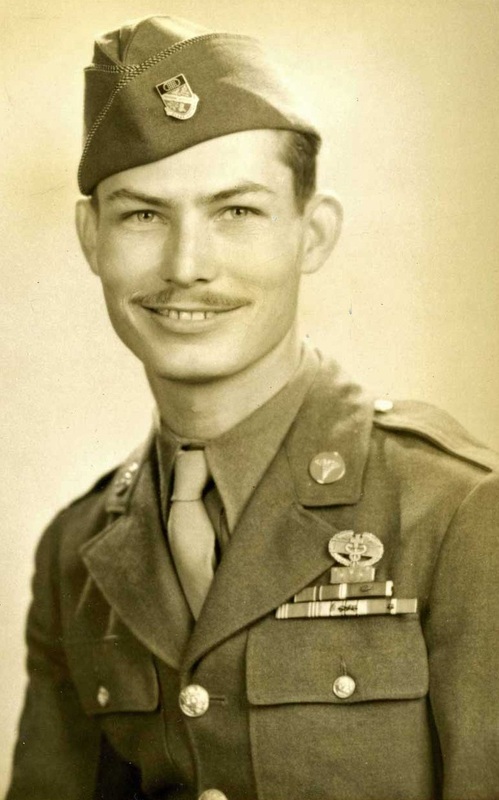 Drafted in April 1942, Doss refused to kill or carry a weapon into combat because of his personal beliefs as a Seventh-day Adventist. He consequently became a medic but was wounded three times. He died in Piedmont, Alabama. 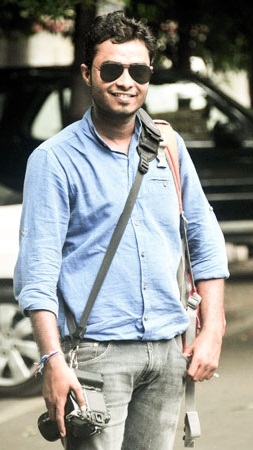 Ashutosh Tripathi, the photojournalist who alerted the world to the destruction of street typist Krishna Kumar's Godrej machine has been honoured for his actions by Uttar Pradesh Chief Minister Akhilesh Yadav. 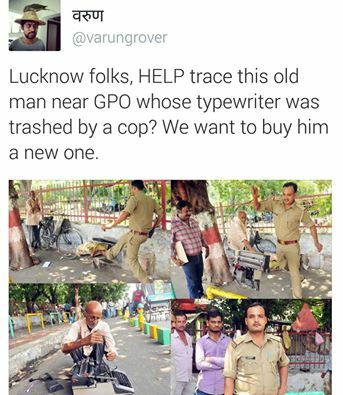 Tripathi's images went viral on social media, the policeman who wrecked the Godrej was suspended and the 65-year-old Kumar Ji got a new typewriter. 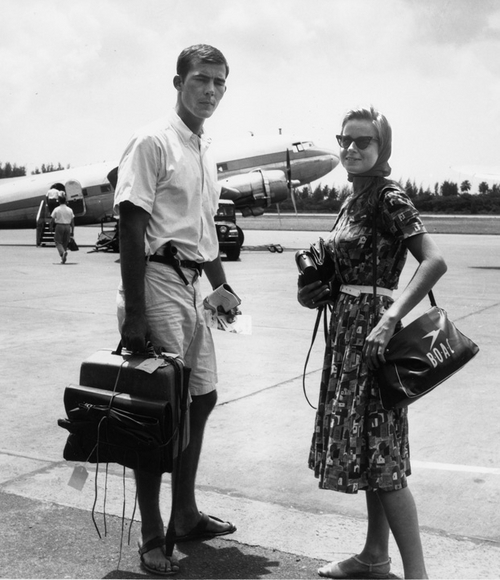 My post yesterday on Hunter S. Thompson using a Smith-Corona Series 5 portable typewriter in South America in the early 1960s included a photo of Thompson carrying the Smith-Corona's case. Nick Bodemer thought it might be a Royal case. What do you think? Bear in mind there's no evidence of Thompson using a Royal. 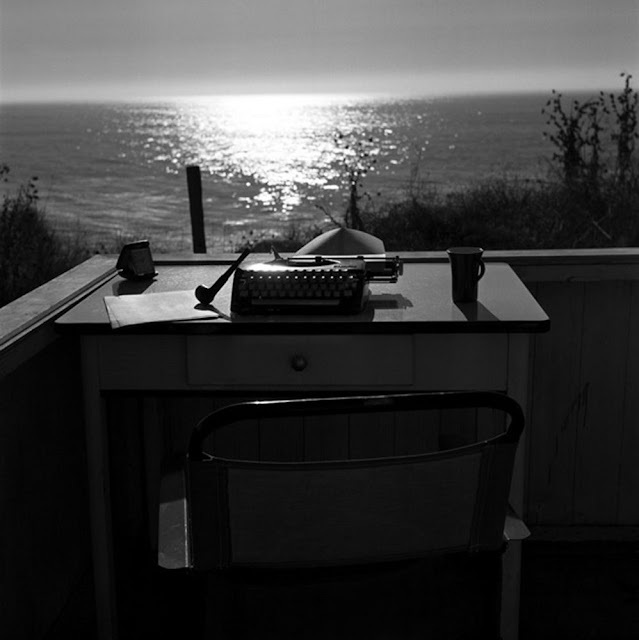 At Big Sur, after South America, he used an Olympia SF. 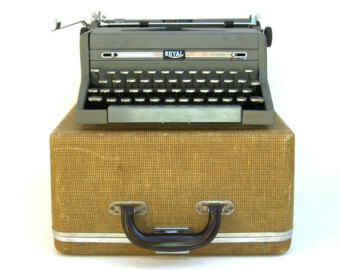 portable typewriter in Rio de Janiero in 1962. 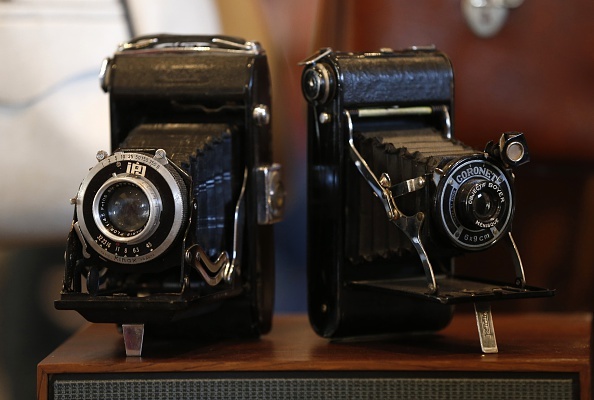 The image was taken by Thompson's photojournalist friend Robert W. (Bob) Bone. 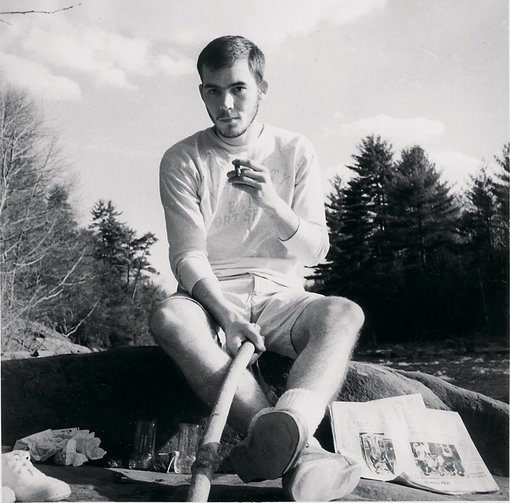 For a year from May 1962, Hunter S. Thompson worked in South America as a roving correspondent for the Dow Jones-owned weekly newspaper, The National Observer. See some of his stories here. 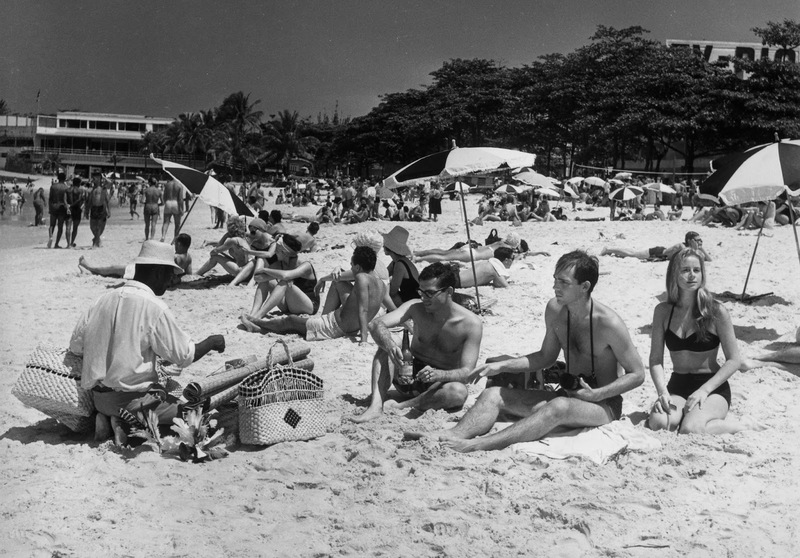 During that time, Thompson was also a reporter for the Brazil Herald, Brazil's oldest English-language daily, based in Rio de Janeiro. His longtime girlfriend Sandra Dawn Conklin joined him in Rio and they later married. Bone, Thompson and Conklin on Copacabana Beach in Rio in 1963. 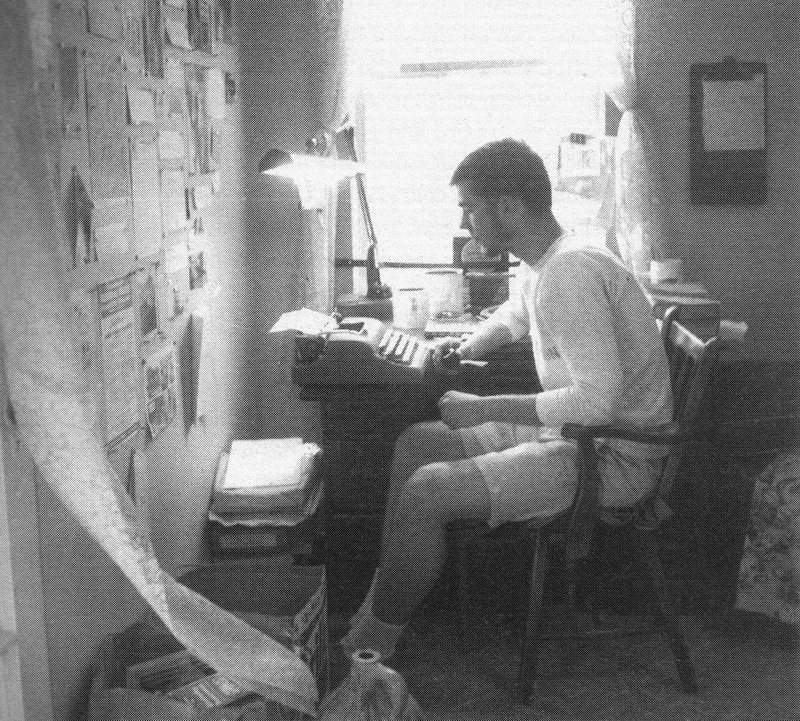 In another photograph taken by Bone, Thompson can be seen carrying his Smith-Corona portable typewriter case. He is with Conklin. 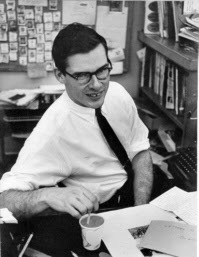 Bone first met Thompson when they worked as reporters for the Middletown Daily Record in New York in 1958. They later worked together at the San Juan Star and were reunited in Rio, where Bone worked for Brazilian Business magazine. 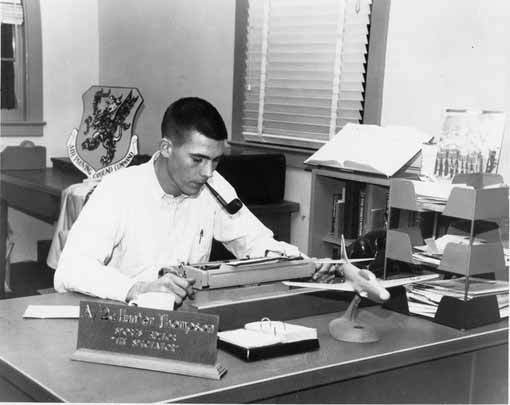 Thompson in 1956 at the Eglin Air Force Base near Fort Walton Beach, Florida, where he was sports editor of the The Command Courier. 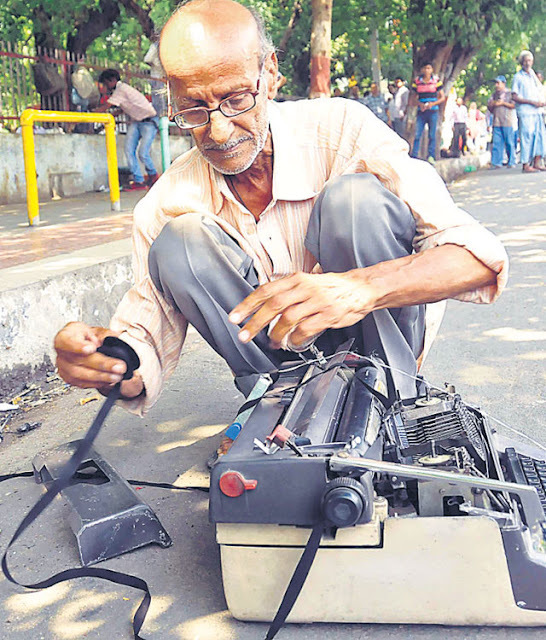 Sixty-five-year-old Indian street typist Kishan Kumar with his new typewriter on a street in Lucknow this week, after he was presented with the new machine following the September 19 destruction of his original in a police anti-encroachment drive in the northern Indian city. 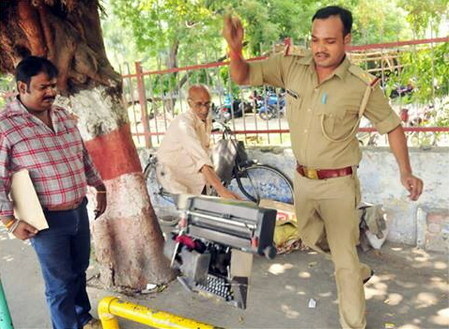 An image of a policeman, Pradeep Kumar, a sub inspector, kicking and smashing his typewriter went viral, making Kumar Ji the most talked about man in India. 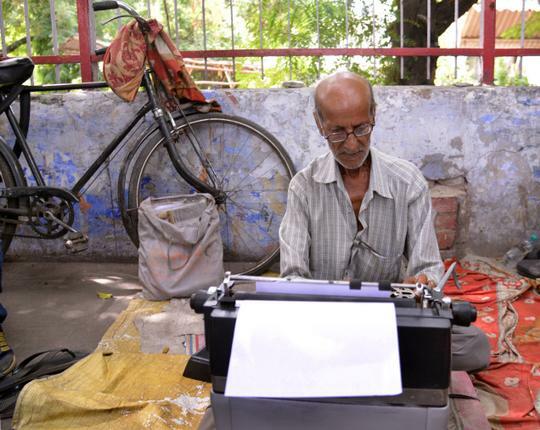 Kumar Ji sits outside the General Post Office in Lucknow and earns his livelihood by typing small letters and legal documents in Hindi. 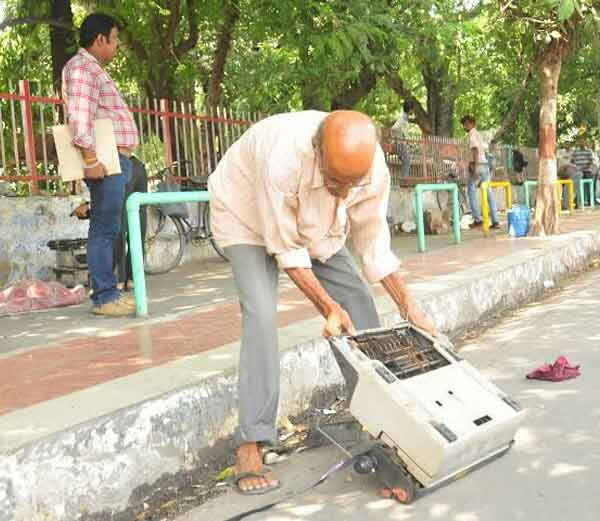 He has been doing this job for the past 35 years, sitting at the same place working 10 hours a day. 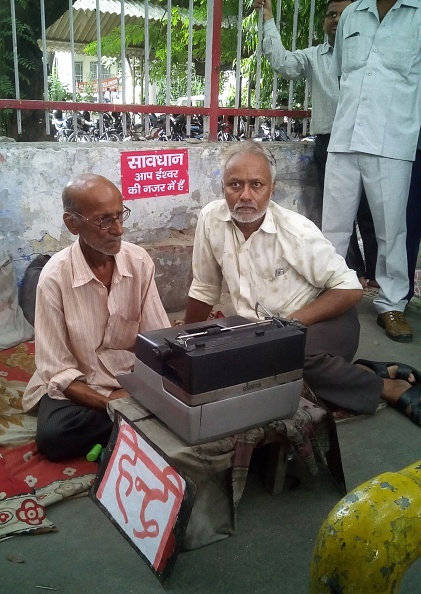 He earns less than $US1 a day. 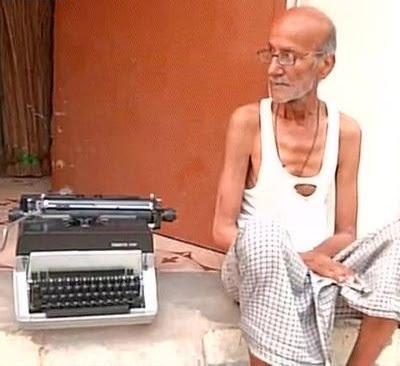 His typewriter was "mercilessly destroyed by an arrogant cop who was ordered to empty the premises because of a VIP visit". 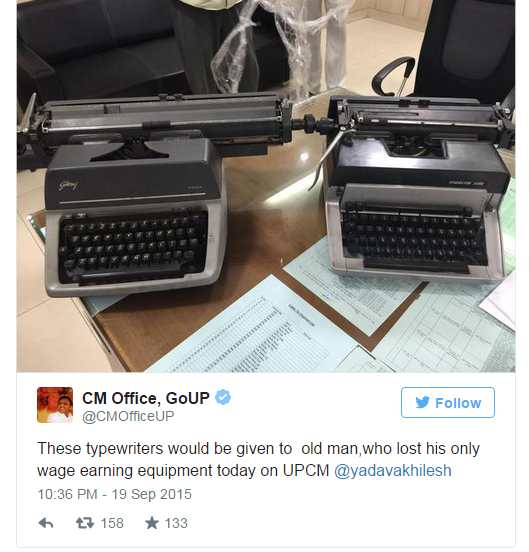 The cop gave the typewriter a kick that sent the machine flying. It didn't long for authorities to act. 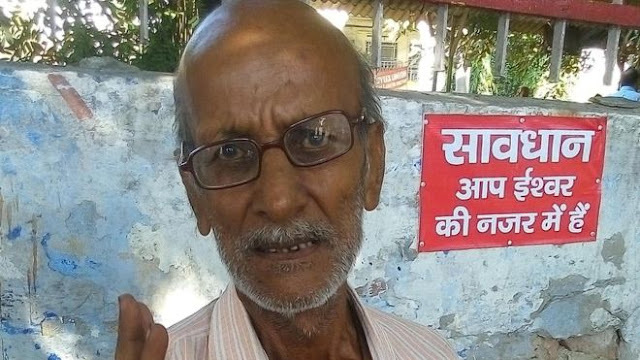 Pradeep Kumar was sanctioned and Chief Minister Akhilesh Yadav instructed the Lucknow police to suspend him for "beating up an innocent wage earner". 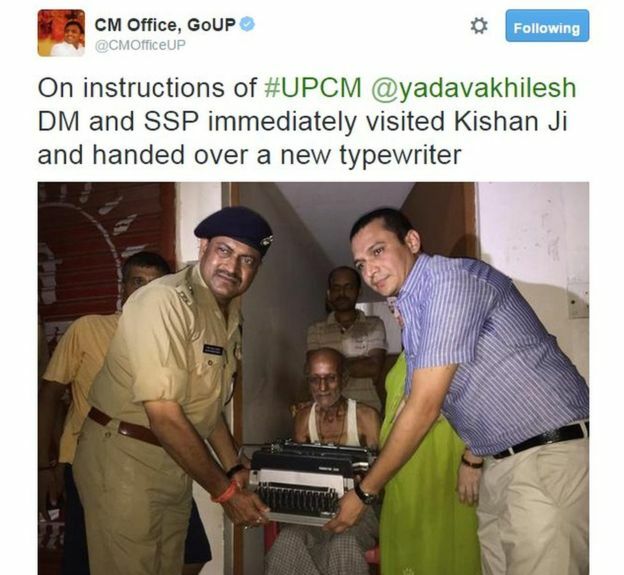 Later, officials visited Kumar Ji and handed over a new typewriter, on the instructions of Akhilesh. 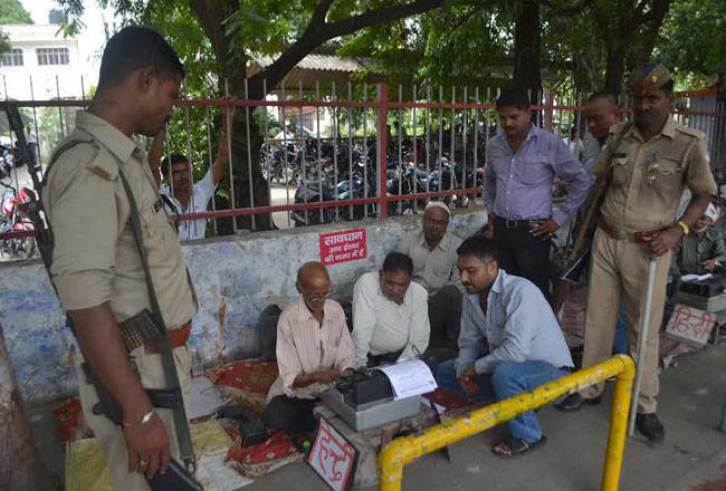 They also apologised to him for the unethical behaviour of the policeman. 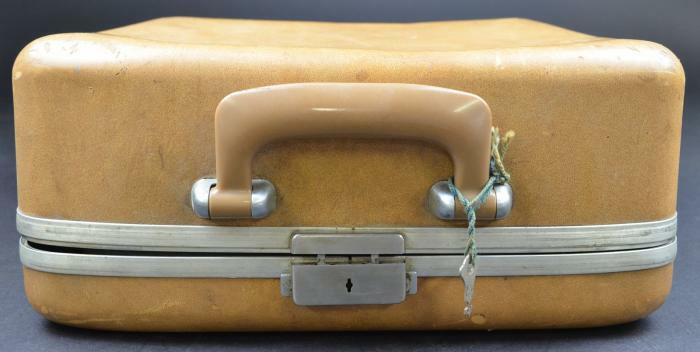 Jack Edward Larson, who played cub reporter-photographer Jimmy Olsen in the Adventures of Superman TV series, has died in Brentwood, Los Angeles, aged 87. Born in Los Angeles on February 8, 1928, and raised in Pasadena, Larson was an actor, librettist, screenwriter and producer. He wrote the libretto to the opera Lord Byron to music by Virgil Thomson. Below, does Lois have an Imperial??? Surely not! 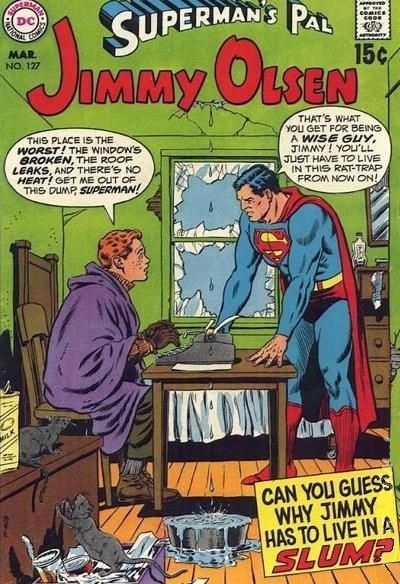 James Bartholomew "Jimmy" Olsen first appeared in the life of Superman in November 1938. He worked for the Daily Planet and was close friends with Lois Lane and Clark Kent. His boss Perry White didn't like being called "Chief", but he and Jimmy generally gone along pretty well. 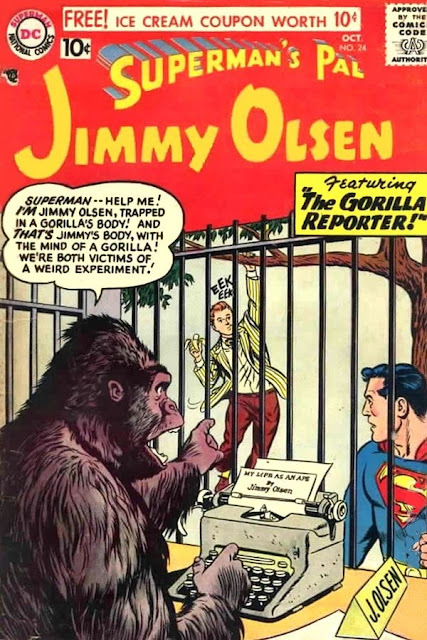 During the Silver Age, beginning in 1954, Jimmy starred in his own comic book, Superman's Pal Jimmy Olsen. 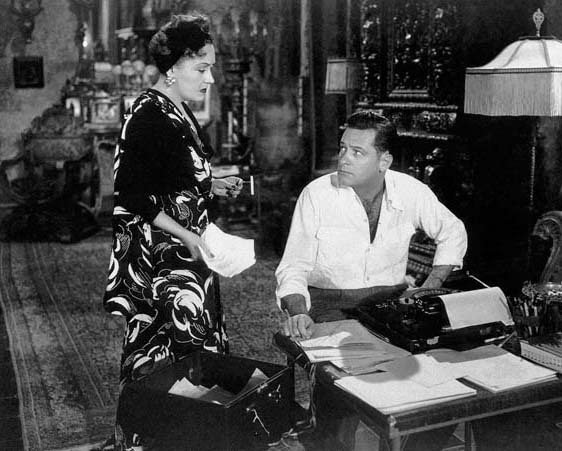 Donald McGill Marshman Jr, an American screenwriter known mainly for his contribution to the Oscar-winning film script for Sunset Boulevard, died last week in Dairen, Connecticut, aged 92. He was born in Cleveland, Ohio, on December 21, 1922. 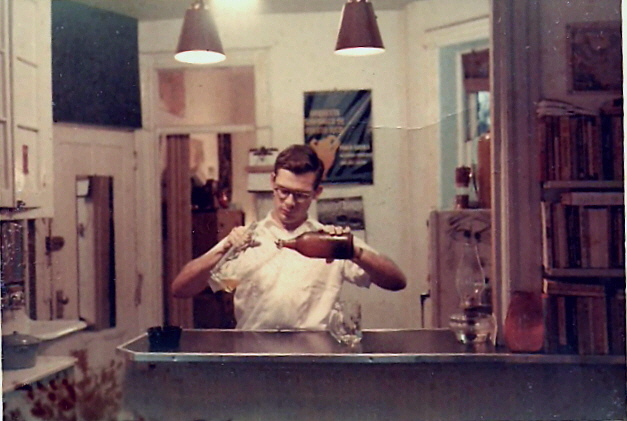 Originally hired as an editorial researcher at Life Magazine, he eventually became the magazine's movie editor before moving to Time Magazine, where he was the film critic. 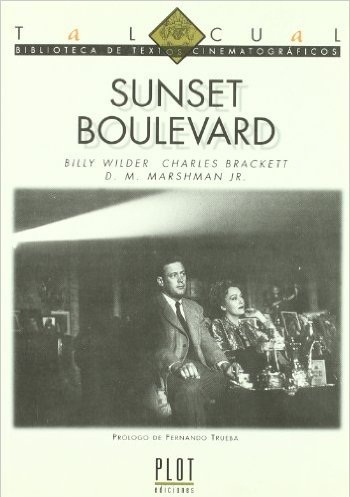 In 1948, Marshman was recruited by Charles Brackett and Billy Wilder to help write the screenplay of Sunset Boulevard (which starred Nancy Olson, not relation to Jimmy Olsen). He suggested that a gigolo be introduced to the story as a romantic interest for the heroine. 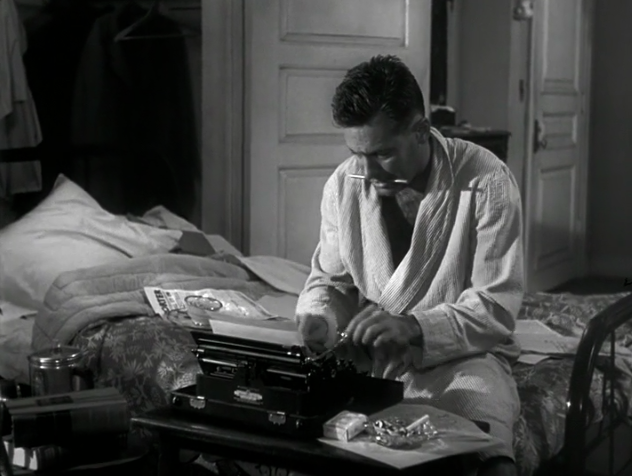 Characteristics of the main character (Joe Gillis, played by William Holden) can be attributed to Marshman.